In June, 2006, I accompanied my mother to her birthplace in Kosice in eastern Slovakia. She showed me the area in which she grew up and lived until 1947, minus nearly a year which she spent in the Birkenau Concentration Camp and as a slave for the Junkers aircraft factory. As well as Kosice, we went to Presov where her grandparents and extended family lived before the War. Today about 150 Jews remain in Kosice, many less in Presov. This population is augmented by about 200 Israeli students studying Veterinary Science and Medicine at the local university. My mother noted the low standard of living wherever we went. She told local people she met, "You thought if you got rid of the Jews, things will be better for you . . . look where it got you". In addition to visiting the east of the country with my mother, I also went to Topolcany in the west. This is the town in which my father and his family lived. The town numbered 5,000 Jews out of total population of 20,000 before the War. Today only the cemetery remains. There are a lot of photographs in this gallery. I may break it up later or edit it down; but for the moment I'd like to keep them together. I start off with general photographs of each place I visited and then show photographs of (former) Jewish life. 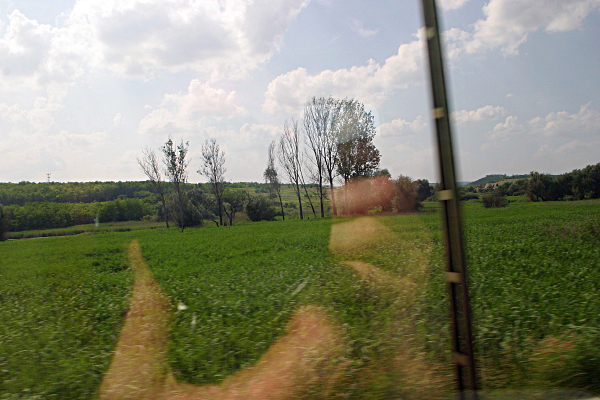 Press here to view the photographs from Slovakia.